UCLA professor J. FraserStoddart, director of the California NanoSystems Institute (CNSI), who holdsUCLA's Fred Kavli Chair in Nanosystems Sciences, has been named Knight Bachelorfor services to chemistry and molecular nanotechnology by Britain's Queen Elizabeth II. In addition to personalitiesfrom popular culture, such as Paul McCartney and Sean Connery, who have beenhonored with the title of knight bachelor, Stoddart joins a formidable list ofeminent scientists that includes Alexander Fleming, Alexander Todd and HaroldKroto, respectively the discoverers of penicillin, the building blocks of DNAand the C60 molecule. Stoddart said that when hebroke the news — which "came like a bolt out of the blue" — to his twodaughters, Fiona and Alison, their response was "That's really cool, Dad." "This special honor is areflection not only of my own achievements but also the considerable supportthat I have received from my academic colleagues, my students and, above all,my late wife, Norma," Stoddart said of his knighthood, which was bestowed Dec.30. "It also recognizes the significance and relevance of chemistry to everydaylife and the international standing of CNSI at the beginning of 2007." Stoddart is ranked by ThomsonScientific as the third most-cited researcher in chemistry for the period fromJanuary 1996 to August 2006. He has published more than 770 communications,papers and reviews, and has delivered more than 700 invited lectures around theworld. He is one of the few chemiststo have created a new field of chemistry over the past quarter century byintroducing an additional bond — the mechanical bond — into chemical compounds.Stoddart pioneered the use of molecular recognition and self-assembly to createmechanically interlocked compounds called catenanes (which consist of two ormore interlocked rings, as in the links of a chain) and rotaxanes(dumbbell-shaped components with at least one ring threaded in a mannerreminiscent of an abacus). Although in the firstgeneration of these exotic molecular compounds, the components, which moverelatively between two states, were indistinguishable, in the secondgeneration, bistability was introduced, resulting in the making of the world'stiniest on/off switches, measuring roughly 1 cubic nanometer in volume. Sincethen, these molecular switches have been incorporated at high densities intomolecular random access memory (RAM) circuits. The scope of Stoddart'sresearch has broadened over the years — under the umbrella of activities hecalls "molecular Meccano" (a reference to the children's model-constructionkit) — as a result of introducing the two-state molecular switches into deviceswhere actuation becomes the key to their operation. He has, for example, designedand constructed nanovalves that consist of moving parts in the form of numerousswitchable rotaxane molecules attached to a tiny sphere of porous glass roughly500 nanometers in diameter. The channels in the porous glass are long, but theyare only a few nanometers in diameter, just big enough to allow small moleculesto enter. These nanovalves, which are much smaller than living cells, arecapable of crossing cell membranes and are now being adapted for use as highlytargeted drug-delivery systems for cancer cells, as well as for harvesting thecontents of such cells, after the fashion of a lunar-landing vehicle collectingsamples of dust from the surface of the moon. Stoddart's former graduatestudents and postdoctoral fellows, inspired by his imagination and creativity,now occupy senior positions in universities, government laboratories andindustries throughout North and South America, Europe, the Middle East, India, Japan,Korea, Taiwan and Australia. Stoddart came to UCLA in 1997from England's University of Birmingham,where he had been a professor of organic chemistry since 1990 and had headed theuniversity's School of Chemistry since 1993.In 2005, he received an honorary doctor of science degree from the University of Birmingham,and he received the same honor from the Universityof Twente in the Netherlands in December 2006. Born in Edinburgh,Scotland, in 1942, Stoddartreceived his bachelor of science (1964) and Ph.D. (1966) degrees from the University of Edinburgh, where he worked with Britishchemist Sir Edmund Hirst. In 1967, he moved to Queen's University in Ontario,Canada, where he was a National Research Council postdoctoral fellow and then,in 1970, to England's University of Sheffield, where he was first an ImperialChemical Industries (ICI) research fellow and then a faculty lecturer(assistant professor) in chemistry. He was a Science Research Council seniorvisiting fellow at UCLA in 1978. After spending a three-year "secondment"(1978–81) at the ICI corporate laboratory in Runcorn, England, he returned full-timeto the University of Sheffield, where he was promoted to a readership(associate professorship). He moved to the University of Birminghamin 1990. Stoddart was awarded adoctorate of science by the University of Edinburgh in 1980 forhis research into chemistry beyond the molecule. He was also the recipient ofthe University of Edinburgh's Alumnus of theYear award in 2005, presented annually to a former student for exceptionalachievement in arts, science, business, public service or academic life.Previous winners include British politician Lord Steel of Aikwood, novelist IanRankin and two-time Olympic medalist Katherine Grainger. Stoddart is a fellow of theRoyal Society (1994), the German Academy of NaturalSciences (1999), the American Association for the Advancement of Science (2005)and the Science Division of the Royal Netherlands Academy of Arts and Sciences(2006). He serves on the international advisory boards of numerous journals,including the Journal of Organic Chemistry, Angewandte Chemie, and Chemistry, AEuropean Journal. The CNSI, a joint enterprisebetween UCLA and UC Santa Barbara, is exploring the power and potential oforganizing and manipulating matter to engineer "new integrated and emergentsystems and devices, by starting down at the nanoscale level, that will aid andabet information technology, energy production, storage and saving,environmental well-being, and the diagnosis, prevention and treatment ofchronic and degenerative diseases with an impact that far outstretches ourcomprehension of life to date," Stoddart said. "The institute's demonstratedability to attract stellar faculty and awesome students has the potential tolead to the generation of a cadre of scientists, engineers and artists who willbring prosperity and enlightenment to the state of California beyond anything that humankindhas witnessed since the onset of civilization." Nanosystems-relatedresearch is performed on a size-scale ranging from 1 nanometer — aboutone-billionth of a meter — to a few hundred nanometers. The DNA molecule is twonanometers wide, roughly 1,000 times smaller than a red blood cell and 10,000times smaller than the diameter of a human hair. The C60 molecule is less thanone nanometer in diameter. 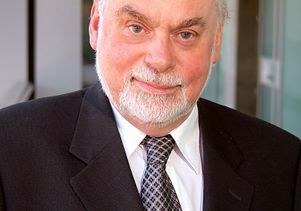 Formore information about Stoddart's research, please visit http://stoddart.chem.ucla.edu/. Newseditors and others are also referred to an interview with Stoddart in theSeptember/October 2005 issue of Science Watch (http://www.sciencewatch.com/sept-oct2005/index.html)and to a 2005 article in the journal Pure and Applied Chemistry titled "From aMeccano Set to Nano Meccano" (vol. 77, issue 7); this article is available uponrequest from Stoddart. Knighthood,one of the highest civil honors in the United Kingdom, recognizesdistinguished contributions to national and international life and is conferredby the queen, on advice from the Office of the Prime Minister. At theconferment ceremony, which usually takes place at BuckinghamPalace, the queen's London residence, the knight bachelor kneelsbefore the queen, who lightly touches the top of his shoulder with a ceremonialsword in a procedure known as "dubbing." The knight then stands before the queen,who hands him his insignia and engages in conversation. Knights bachelor arethe most ancient of the British knights, with the title having originatedduring reign of King Henry III (1216–1272). Knights carry the formal title"Sir." Each year, about 20 knighthoods are announced by the queen. Dedicated to the advancement of science for thebenefit of humanity, the Kavli Foundation supports scientific research, honorsscientific achievement, and promotes public understanding of scientists andtheir work. The foundation's mission is implemented through an internationalprogram of research institutes, prizes, professorships and symposia in thefields of astrophysics, nanoscience and neuroscience. Established in December 2000by the state of California as one of the University of California'sfour Institutes of Science and Innovation, the CNSI forges partnerships withprivate industry as a means to accelerate technological advances for the peopleof Californiaand society in general. The institute represents an interdisciplinary collaborationbetween UCLA and UC Santa Barbara faculty from the life and physical sciences,engineering, and medicine. In 2007, the CNSI at UCLA will relocate to a new180,000-square-foot facility housing a 260-seat theater, wet and drylaboratories, fully outfitted conference rooms and classrooms, and three floorsof core facilities including electron microscopes, atomic-force microscopes, X-raydiffractometers, optical microscopies and spectroscopies, and high-throughputrobotics. In addition, UCLA is funding 15 jointly-hired CNSI faculty to ensurethat the institute will possess the expertise necessary to make rapid progressin nanoscience and nanotechnology amid fierce international competition. Formore about the CNSI, please visit http://www.cnsi.ucla.edu/. California's largest university, UCLA enrolls approximately38,000 students per year and offers degrees from the UCLA College of Lettersand Science and 11 professional schools in dozens of varied disciplines. UCLAconsistently ranks among the top five universities and colleges nationally intotal research-and-development spending, receiving more than $820 million ayear in competitively awarded federal and state grants and contracts. For every$1 state taxpayers invest in UCLA, the university generates almost $9 ineconomic activity, resulting in an annual $6 billion economic impact on theGreater Los Angeles region. The university's health care network treats 450,000patients per year. UCLA employs more than 27,000 faculty and staff, has morethan 350,000 living alumni and has been home to five Nobel Prize recipients.